Danny Cavett, founder of Cavett Kids Foundation, will be our speaker in September, along with executive director Ashley Simpson. As a hospital chaplain for many years, Danny Cavett met many kids with life-threatening illnesses, and he dreamed of creating a place where they could have fun, connect with other kids, and learn important skills for managing their illness and navigating life. In 1997, he hosted the first summer camp with 100 kids and has since expanded the organization to include multiple camps and ongoing programs to serve kids and their families. Danny currently serves as director of pastoral care for OU Medical Center and also serves on multiple nonprofit and health-related organizational boards. 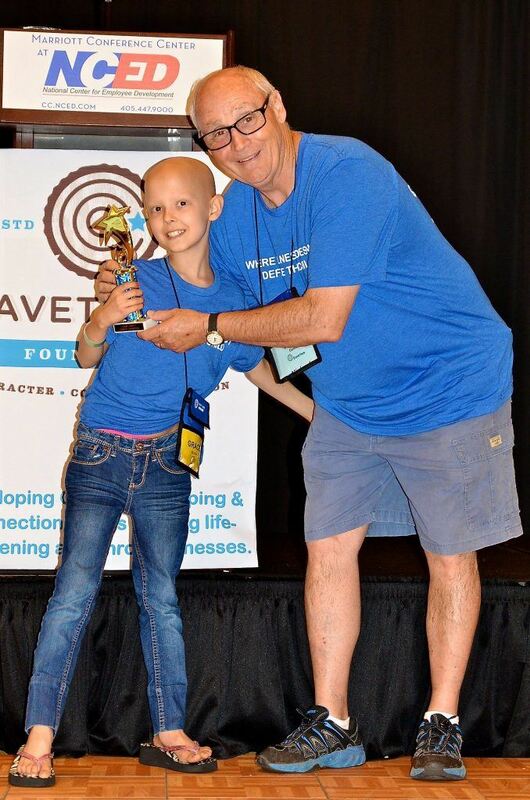 Through camp experiences and other programs, Cavett Kids Foundation provides Oklahoma youth who have life-threatening illnesses the opportunity to connect with others facing similar experiences and participate in character-building, leadership, and recreational activities in a supportive environment. They serve 12,000 children and families each year.